This is our promise of a quality service. This Limited Warranty is made by ARCHGARD INDUSTRIES LTD., hereinafter referred to as “Archgard”. 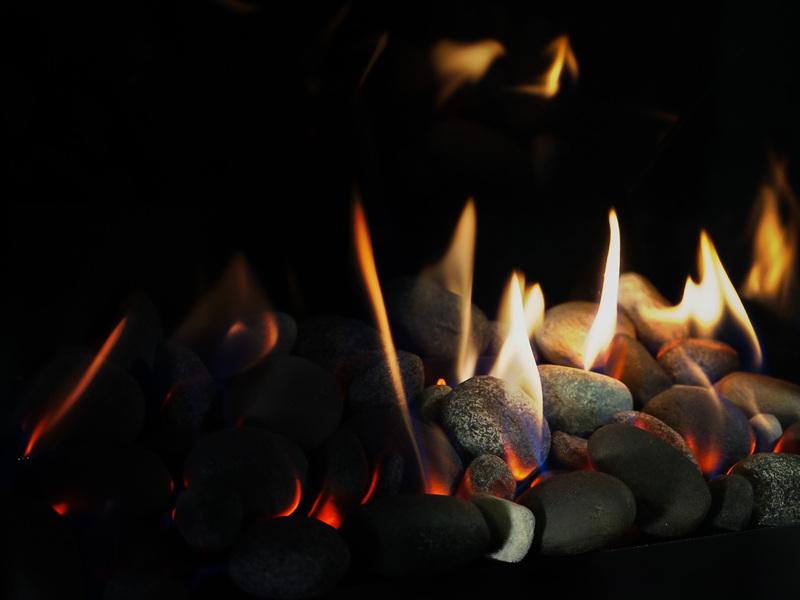 Archgard warrants to the original purchaser of an Archgard gas burning fireplace(s) that the product will be free from defects in materials and workmanship under normal use and service, for a “lifetime”. NOTE: discoloration and some minor movement of certain parts are normal and are not a defect; therefore, not covered under warranty. The above will be covered under “Parts & Labor” to the original purchaser for five (5) years and “Parts Only” thereafter from original date of purchase. • “FiberFlame Technology Burner System” – any defective burner and ceramic ember bed if defect is deemed as original by the manufacturer. • All 24K gold trims and accessories against tarnishing. • All trim accessories against tarnishing and paint defects. The above will be covered under “Parts & Labour” to the original purchaser for two (2) years and “Parts Only” thereafter from original date of purchase. • Blowers, fans and fan motors, wiring, rheostats and thermo discs. • Rocker switches, spill switches and wiring to them. • Gas control valves, pilot assemblies including thermopiles, thermocouples, electrodes and igniters. The above will be covered under “Parts & Labor” to the original purchaser for one (1) year from date of purchase. • Archgard does not offer wall-mounted thermostats, programmable thermostats (wiring for hook-up of said product), handheld remote controls, fireplace mantles, trims or tiles. • Tempered Glass is under warranty for ONE year to the original purchaser from date of purchase. • Travel time or mileage to original purchaser’s residence. Archgard suggests that you pre-arrange travel expenses with your Authorized Archgard Dealer. • Thoroughly read your “Owner’s Installation, Operation & Maintenance Manual”. • If you cannot solve the problem, contact your Archgard dealer or representative. Model of your fireplace Serial Number Place of Purchase. Date of Purchase Problem Description. NOTE: Warranty may be void if work is carried out by an unqualified person(s). Only original Archgard parts may be used. Please consult you Archgard dealer or representative if in doubt about a replacement part(s). The original purchaser shall return the defective part(s) to the original authorized Archgard dealer – transaction prepaid, along with the serial number of the appliance and original proof of purchase. Any defective part, in our judgment, will be repaired or replaced at Archgard’s discretion. The dealer must obtain approval from Archgard before any repairs are made. THIS LIMITED WARRANTY IS MADE IN LIEU OF ALL OTHER WARRANTIES, EXPRESSED OR IMPLIED AS TO QUALITY, MERCHANTABILITY OR FITNESS FOR PARTICULAR PURPOSE. The appliance is only warranted for the use as intended by the installation and operating instructions and local building codes. The warranty will not cover damage due to accident, misuse, abuse, alteration, improper installation or “Acts of God”. This limited warranty is void unless the appliance is installed by a qualified installer, in accordance with the instructions furnished with the appliance. Some Provinces or States do not allow limitations on how long an implied warranty lasts, so the above limitations may not apply to the original purchaser. Any damage resulting from defects in this product is limited to the replacement of the defective part(s) and does not include incidental and consequential exposures sustained in connection with the product. This includes facing(s), mantle(s), cabinet(s), tile(s) or any other finishes resulting from removal of any gas appliance. This warranty is limited to residential use only and gives the consumer specific rights. These rights may vary from State to State or Province to Province. This Limited Warranty is made by ARCHGARD INDUSTRIES LTD., hereinafter referred to as “Archgard”. Archgard warrants to the original purchaser of an Archgard Wood Burning fireplace(s) that the product will be free of defects in materials and workmanship under normal use and service, for a “lifetime”.  All combustion chamber and air tubes (against warpage).  Ceramic Glass against thermal breakag. Special Finishes ~ One year on brushed nickel louvers and doors. You can expect some changes in color as the product “ages” with constant heating and cooling. Archgard warranties the product for any manufacturing defects on the original product. However, the manufacturers warranty does not cover changing colors and marks, i.e. : finger prints and other foreign materials applied after the purchase of the product. Damage from the use of abrasive cleaners is not covered by warranty.  Blowers, fans and fan motors, wiring, rheostats and thermo discs.  All 24K gold trims and accessories against defective manufacturing.  Door Latch Hardware, paint, gasketing, firebrick or trim.  Rocker switches and wiring to them. The above will be covered “parts & subsidized labor” to the original purchaser for ONE year from date of purchase. Archgard does not offer warranty on damages to fireplace mantel (s), trims or tiles. Travel time or mileage to original purchasers’ residence. Archgard suggests that you pre-arrange travel expenses with your Authorized Archgard Dealer. This warranty does not cover installation and operational related problems such as over-firing, use of corrosive driftwood, downdrafts or spillage caused by environmental conditions, nearby trees, buildings, hill tops, mountains, inadequate venting or ventilation, excessive offsets, negative air pressures caused by mechanical systems such as furnaces, fans , clothes dryers, etc.  Thoroughly read your manual.  If you cannot solve the problem, contact your Archgard Dealer or representative. Model of your Fireplace, Serial Number, Place of Purchase. Date of Purchase, Problem Description. NOTE: Warranty may be void if work is carried out by an unqualified person (s). Only original Archgard parts may be used. Please consult your Archgard dealer or representative if in doubt about a replacement part (s). To obtain warranty service, the original purchaser shall return the defective part (s) to the original authorized Archgard selling dealer transportation prepaid, along with the serial number of the appliance and proof of purchase. Any defective part, in our judgment, will be repaired or replaced at Archgard’s discretion. The dealer must obtain approval from Archgard before any repairs are made. Archgard is not liable for freight or labor on any wood burning appliance replaced in the field. Any part of parts of this unit which in our judgment show evidence of such defects will be repaired or replaced at Archgard’s option, through an accredited dealer or Agent provided that the defective part be returned to the dealer or agent Transportation Prepaid. The appliance is only warranted for the use as intended by the installation and operating instruction and local building codes. The warranty will not cover damage due to accident, misuse, abuse, alteration, improper installation or “Acts of God”, “Acts of Terrorism” or shipping. Installation and environmental problems are not the responsibility of the manufacturer and therefore are not covered under the terms of this warranty. Performance problems due to operator error will not be covered b this warranty policy. Products made or provided by other manufacturers and used on conjunction with the operation of the appliance without prior authorization from Archgard Industries may nullify your warranty on this product. This limited warranty is void unless the appliance is installed by a qualified installer, in accordance with the instructions furnished with the appliance. Some Provinces or States do not allow limitations on how long an implied warranty lasts, so the above limitation may not apply to the original purchaser. Any damage resulting from defects in this product is limited to the replacement of the defective part (s) and does not include incidental and consequential exposures sustained in connection with the product. This includes facing (s), mantle (s), cabinet (s), tile (s) or any other finishes resulting from removal of any gas appliance. This warranty is limited to residential use only and gives the consumer specific rights. These rights may vary from State to State or Province to Province.